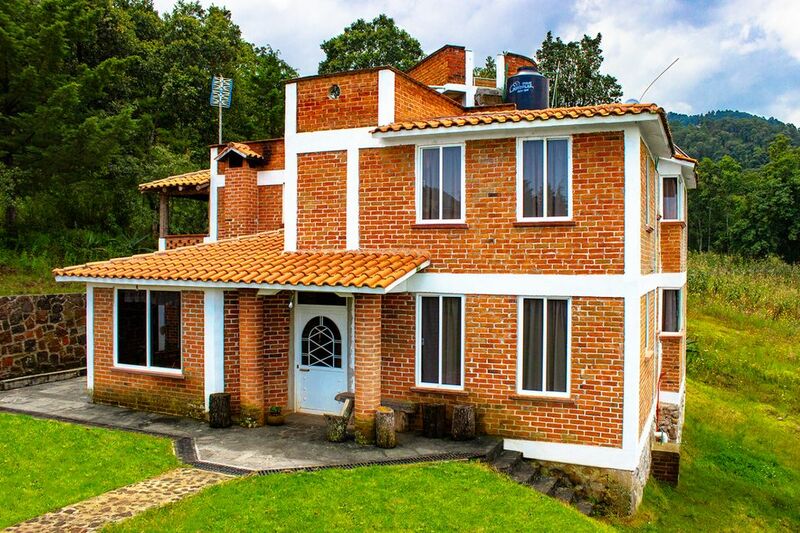 The house is located in the town of "Senguio, Michoacán", right at the foot of the "Sierra Chincua". The house has a spectacular view, plus it is surrounded by nature. Next to the house runs a small river and at no more than 8 minutes walking is the entrance to the monarch butterfly sanctuary, which has a playground for children free of charge. Your stay is suitable for all types of people, it is recommended to wear warm clothes. Because the weather is cold. I am a person who loves nature, animals and insects. I am a professional designer and taking macro photographs to details and insects is my favorite hobby. We chose to rent this house because although we travel to this town often, most of the year is unoccupied. That's why we decided that other people live the different experiences offered by the people (Easter, fungus season and monarch butterfly season) or simply come to vacation with the family and have a nice time. Our house is unique, since it has barbecue, hammock area and fireplace. A few meters from the house there is a small stream and we are located a few minutes from the entrance to the reserve of the biosphere of the monarch butterfly. Towels are included. Find them in your room. There is a stream 50 meters from the house. Two-floor house. It has a grill in the backyard, hammock area, fireplace, a balcony on the first floor and a rooftop viewpoint. It has large spaces in common areas such as 2 living rooms, dining room, kitchen and roof. It has a solar and gas heater, a parking for 5 cars (±) and nature is the main patio of the house. Perfect area for hiking and outdoor activities. It is necessary to * use a guide when entering the forest.